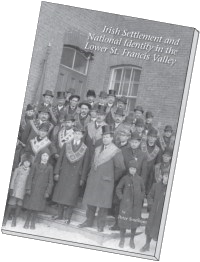 The book, Irish Settlement and National Identity in the Lower St. Francis Valley is written by Peter Southam, a retired history professor from University Sherbrooke and published by the Richmond St. Patrick’s Society. 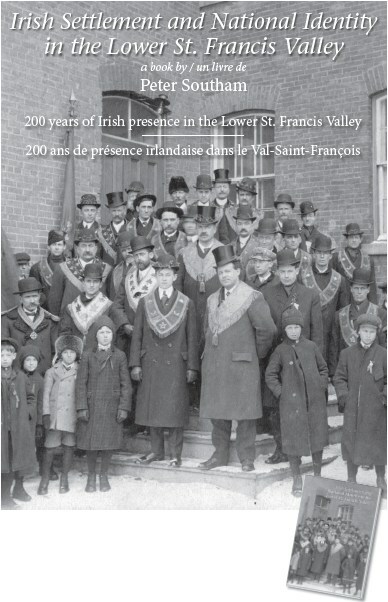 The book describes two hundred years of Irish presence in the Lower St-Francis Valley, a section of Quebec’s Eastern Townships that surrounds the Town of Richmond. 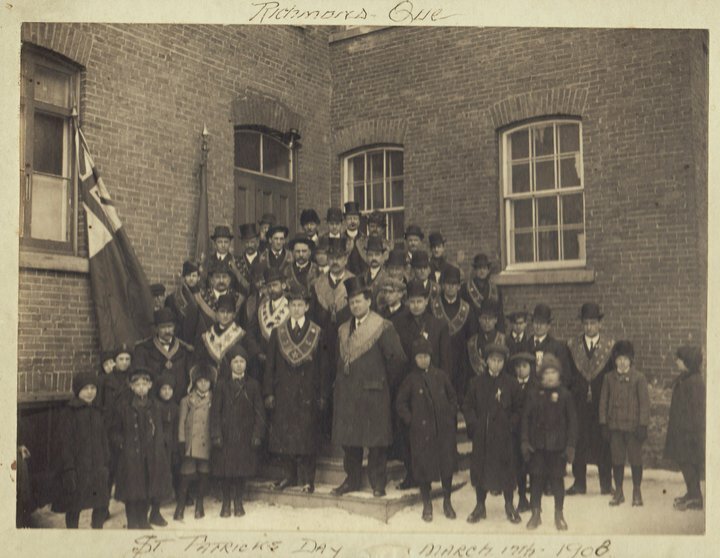 Much of the source of information for the book was provided by local families. 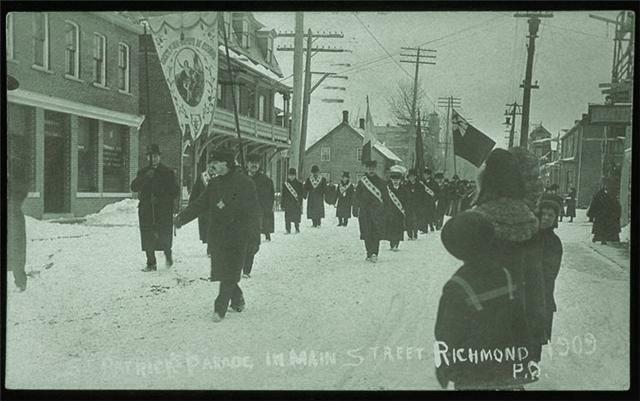 Part I deals with Irish rural settlements and then part II focuses on the Richmond’s St-Patrick’s Society. The book is available at Townships Expressions at 819-566-5717. 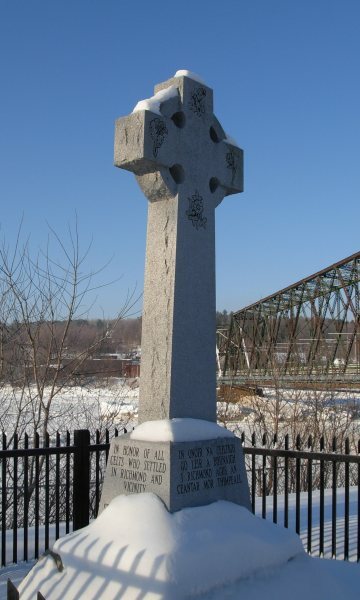 It was built in 2002 near the Mackenzie Bridge in Richmond for all the Celtic pioneers of the area. 1883 - 1884 John Murphy Jr.
1886 - 1890 John Murphy Jr.
1896 - 1903 John Murphy Jr.
* Lack of source makes it impossible to establish precisely dates for those who held office from.